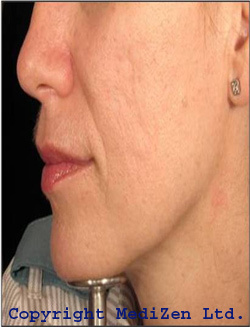 VAVELTA® was launched in 2008 as a skin repair and rejuvenation product. 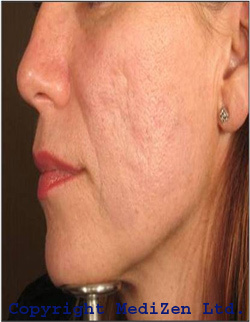 It is designed to restore and repair skin damaged by the ageing process or scarring. 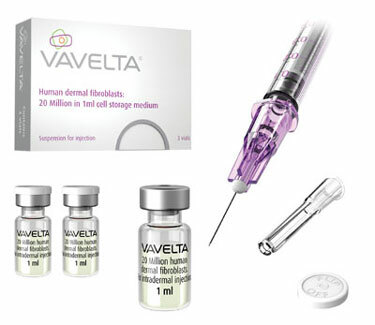 Vavelta contains a suspension of 20 million human dermal fibroblasts per ml in cell storage medium contained in a specially designed, sealed vial for injection into the skin. It repopulates the skin with young active fibroblasts whose purpose it is to remodel the dermis to improve its structure, function and appearance. Fibroblasts are the principle cell type found in the dermal layer of the human skin, where they are responsible for the production of collagen, the main component of the dermis. Collagen forms a matrix of fibres and is crucial to the structure and the texture of skin making it durable and elastic. Firstly, neonatal cells can be used that are by definition, young and metabolically highly active. In order to produce large quantities of standard fibroblasts, these cells are extensively tested, screened and multiplied in culture. Cells from only one donor will become the source of many vials of VAVELTA®. Secondly, the use of donor cells means that VAVELTA® is available “off-the-shelf” from an experienced physician, and that taking biopsies (samples of an individual’s ce lls), culturing and storing these cells is not required. VAVELTA® is injected directly into the target area using a fine gauge needle. It is a straightforward and minimally invasive procedure and a local anaesthetic such as lidocaine gel may be given before the procedure to minimise any discomfort. 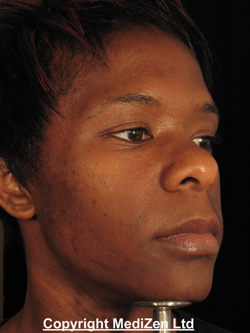 The number of injections given will be determined by the nature and size of the area of the skin that is being repaired or restored but patients usually commence treatment with a minimum of one vial. 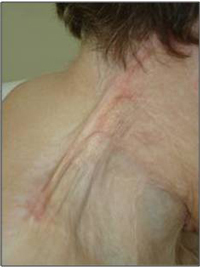 Following treatment the treated area should show imrpovement over a period of weeks and months. Results acheived should be long lasting. 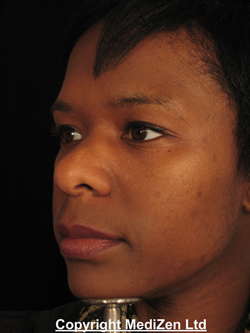 VAVELTA® is administered only by experienced physicians, well-trained in intra-dermal injection techniques for example, plastic surgeons, dermatologists or general practitioners specialising in medical aesthetics. As a result of the both the intrinsic and extrinsic ageing processes, the fibroblast’s ability to produce collagen diminishes and the matrix begins to break down resulting in wrinkles and a sagging appearance. VAVELTA® is intended to restore and repair the skin’s collagen support matrix through the introduction of new, young fibroblasts which are injected into the dermis. An improvement is apparent once the fibroblasts have started to produce new collagen. The aim is to give a gradual improvement in a subtle and natural way. 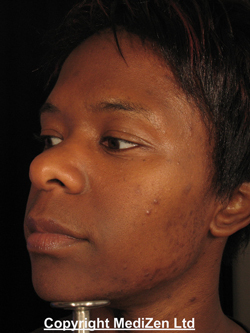 Scars are formed when the dermis is damaged by accidental trauma, surgery, disease or skin conditions such as acne. To repair the damage, fibroblasts produce new collagen but these fibres may be produced to excess and in a disorganised way, resulting in a scar; skin with a different texture and quality than the surrounding tissue. As in its application for rejuvenating ageing skin, VAVELTA® introduces fibroblasts into the dermis which produce collagen to restructure and remodel the scar tissue improving the feel, function and appearance of the skin. Donor fibroblasts are known to be immunologically neutral or immune silent. Once injected, these cells behave as if they were autologous, that is, sourced from and applied to the same person. We believe they do not elicit an immune response and therefore are not rejected by the recipient. 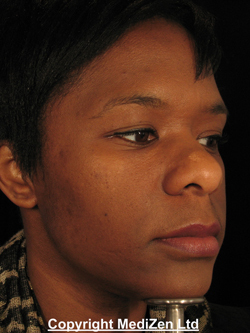 The VAVELTA® procedure uses whole cells which are introduced into their normal environment. Although the cells are cultured in media, they are not being engineered or changed in any way. From around £750/vial - additional vials of cells used may be discounted. A Phase I trial, conducted in collaboration with Professor Nicholas Lowe MD FRCP at the Cranley Clinic, London, consisting of a placebo-controlled safety and tolerability study in ten healthy volunteers has been completed. Each volunteer received a course of three injections given into the skin of the upper arm. VAVELTA® was shown to be very well tolerated; no serious adverse events were reported and all adverse events were transient and resolved without treatment. A Phase II dose-escalation trial of VAVELTA® in nasolabial folds was also completed at the Cranley Clinic with Professor Lowe. In this trial six patient volunteers received a low dose of VAVELTA® and a second group of ten volunteers was treated with a higher dose. Six months post-treatment, the average “satisfaction scores” for both groups, as assessed separately by both the volunteers and Professor Lowe, on a scale of one to ten (ten being the highest), were 7.8 and 7.6 respectively. In addition, he measured an improvement in wrinkle severity in 75 percent of volunteers. A second Phase II trial for the use of VAVELTA® in acne (body and facial) scarring was completed by Dr David Eccleston MB ChB at the MediZen clinic, Birmingham. Six months post-treatment, the average satisfaction scores, were 6.8 and 6.3 respectively. No serious adverse events were observed and VAVELTA® was well tolerated in both Phase II trials. 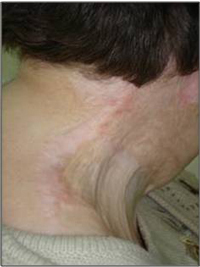 Treatment has commenced in a third Phase II trial investigating the use of VAVELTA® in burns scars (including contractures). The optimal Phase III trial design will be based on the results of these Phase II trials and discussions with the US Food and Drug Administration in 2009. Click for ALL VAVELTA ® clinics in the UK & Ireland registered and verified by Consulting Room.